Director and Chief Pathologist at PhenoPath Laboratories, a Seattle-based national reference immunohistochemistry laboratory founded by Dr. Gown in 1998. He is Clinical Professor of Pathology at the University of British Columbia, Vancouver, and an Affiliate Investigator in the Clinical Research Division of the Fred Hutchinson Cancer Research Center, Seattle. papers in this field over the past 20 years. 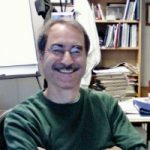 He serves as a member of the Editorial Board for several pathology journals, and regularly gives workshops in diagnostic immunohistochemistry under the auspices of the United States Canadian Academy of Pathology and the American Society of Clinical Pathologists. Baehner FL, Achacoso N, Maddala T, Shak S, Quesenberry CP Jr, Goldstein LC, Gown AM, Habel LA. Human epidermal growth factor receptor 2 assessment in a case-control study: comparison of fluorescence in situ hybridization and quantitative reverse transcription polymerase chain reaction performed by central laboratories. J Clin Oncol. 2010 Oct 1;28(28):4300-6. Epub 2010 Aug 9. Chiu CG, Strugnell SS, Griffith OL, Jones SJ, Gown AM, Walker B, Nabi IR, Wiseman SM. Diagnostic utility of galectin-3 in thyroid cancer. Am J Pathol. 2010 May;176(5):2067-81. Epub 2010 Apr 2. Collins LC, Achacoso N, Nekhlyudov L, Fletcher SW, Haque R, Quesenberry CP Jr, Puligandla B, Alshak NS, Goldstein LC, Gown AM, Schnitt SJ, Habel LA. Relationship between clinical and pathologic features of ductal carcinoma in situ and patient age: an analysis of 657 patients. Am J Surg Pathol. 2009 Dec;33(12):1802-8. Osamura RY, Gown AM. Personalized medicine-molecular targeted cancer therapy. J Cell Mol Med. 2009 Nov-Dec;13(11-12):4285. Epub 2009 Aug 19. Terry J, Torlakovic EE, Garratt J, Miller D, Köbel M, Cooper J, Bahzad S, Pilavdzic D, O’Malley F, O’Brien AE, SenGupta S, Alport E, Têtu B, Knight B, Pettigrew NM, Berendt R, Wolber R, Trotter MJ, Riddell RH, Gaboury L, Elms F, Magliocco A, Barnes P, Gown AM, Gilks CB. Implementation of a Canadian external quality assurance program for breast cancer biomarkers: an initiative of Canadian Quality Control in immunohistochemistry (cIQc) and Canadian Association of Pathologists (CAP) National Standards Committee/Immunohistochemistry. Appl Immunohistochem Mol Morphol. 2009 Oct;17(5):375-82. Gown AM. Tweaking and nudging toward improved-IHC quality. Appl Immunohistochem Mol Morphol. 2009 Oct;17(5):363-5. Tubbs R, Barlow WE, Budd GT, Swain E, Porter P, Gown A, Yeh IT, Sledge G, Shapiro C, Ingle J, Haskell C, Albain KS, Livingston R, Hayes DF. Outcome of patients with early-stage breast cancer treated with doxorubicin-based adjuvant chemotherapy as a function of HER2 and TOP2A status. J Clin Oncol. 2009 Aug 20;27(24):3881-6. Epub 2009 Jul 20. Husain AN, Colby TV, Ordóñez NG, Krausz T, Borczuk A, Cagle PT, Chirieac LR, Churg A, Galateau-Salle F, Gibbs AR, Gown AM, Hammar SP, Litzky LA, Roggli VL, Travis WD, Wick MR. Guidelines for pathologic diagnosis of malignant mesothelioma: a consensus statement from the International Mesothelioma Interest Group. Arch Pathol Lab Med. 2009 Aug;133(8):1317-31. Deen S, Griffith OL, Masoudi H, Gown A, Jones SJ, Wiseman SM. Anaplastic thyroid carcinoma exhibits intratumoral molecular homogeneity for a therapeutic target panel. Anticancer Res. 2009 Jul;29(7):2437-44. Fleming JN, Shulman HM, Nash RA, Johnson PY, Wight TN, Gown A, Schwartz SM. Cutaneous chronic graft-versus-host disease does not have the abnormal endothelial phenotype or vascular rarefaction characteristic of systemic sclerosis. PLoS One. 2009 Jul 9;4(7):e6203.